Click Any Book To Learn More About It! Want to impress your colleagues? Convince your clients? Prove your point? 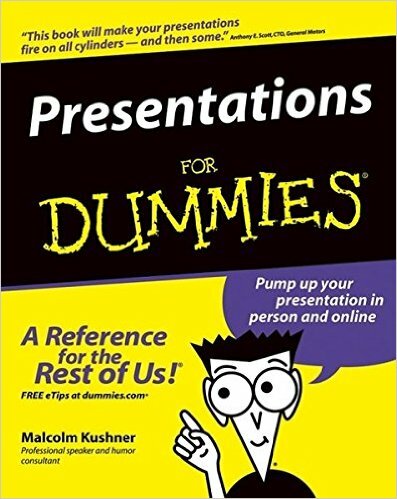 No matter what you’re trying to say or to whom you’re speaking, a great presentation is often the key to success. 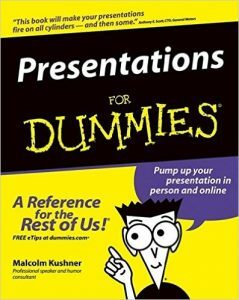 Luckily, this friendly guide shows you how to make every presentation you give powerful, believable, and convincing. Conquer your public speaking jitters and deliver a dynamite speech. 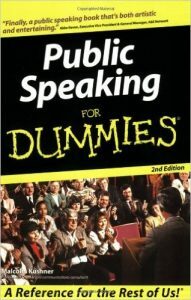 Anxious about public speaking? Have no fear! Use this friendly guide as your personal arsenal of tools to overcome stage fright and build a rapport with your audience. From researching your topic and preparing the room to crafting a riveting address, these savvy tips will help you deliver a masterful presentation. In today’s competitive business environment – where every skill counts—humor can provide the winning edge. It’s a powerful yet often forgotten tool. And this book explains how anyone can use it successfully. Most important, you don’t need to be “naturally funny” or know how to tell a joke. 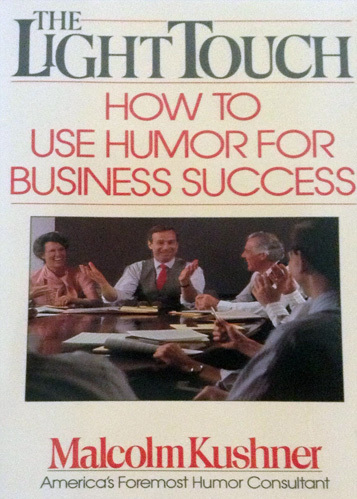 Learn how to tap the power of your most overlooked natural resource – your sense of humor. You mention you’re a lawyer. And the jokes start coming non-stop: snakes, professional courtesy, skid marks, death. If you object, you have no sense of humor. So must you smile and take it? Not any more! Lawyers who are sick of lawyer jokes finally have what they’ve been waiting for — witty comebacks to shut up the joke tellers. 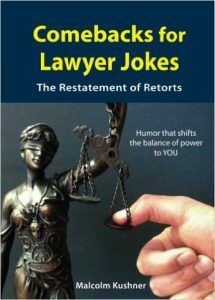 This book includes comebacks to over 100 common, annoying lawyer jokes. It also includes the world’s first jokes that actually make lawyers look good! A: None, if the lawyers are Abraham Lincoln, Mahatma Gandhi or Nelson Mandela. Then the light comes from within. A great gift for any lawyer or law student. And that’s no joke. 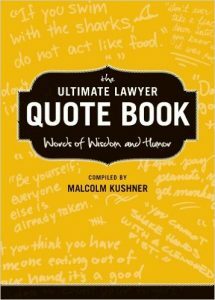 Published by the American Bar Association, The Ultimate Lawyer Quote Book is unique. Unlike legal quote books full of multi-paragraph quotes in archaic language from eighteenth century judicial decisions, it’s designed for the oral practice of law. That means conversations with colleagues, networking, public speaking, interviewing potential employees, answering questions at conferences and impressing prospective clients. People expect lawyers to be experts with words. They expect you to be smart and witty; to say clever things. And that’s the entire point of the book – to give you smart, funny things to say when you need them. Traditional topics such as torts, contracts, ethics, litigation, evidence and argumentation are joined by newer concerns like time management, work/ life balance, rainmaking, billing, hiring, conflict management, office politics and pro bono work. There’s even a whole section dedicated to “Sounding Smart.” It covers eastern, western and modern wisdom, as well as philosophical observations and thought-provoking questions. With more than 1,000 quotes from 500 people, The Ultimate Lawyer Quote Book provides wit and wisdom that you can drop into a conversation anytime, anywhere with anyone. 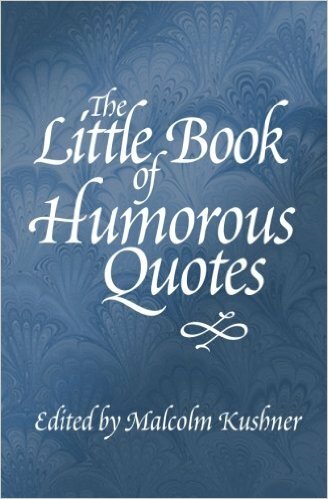 Funny, facetious, droll, amusing, jocular, whimsical, silly, witty, hilarious, hysterical, and thought-provoking, The Little Book of Humorous Quotes is the perfect mental supplement in today’s stressed-out world. Is your mind on information overload? Give yourself a break—and a laugh. This humorous collection is organized to provide laughter every day, year in and year out, to yourself and anyone you speak to. 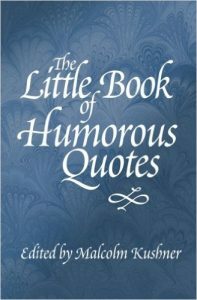 The book shares 365 exceptionally entertaining quotes from more than 100 authors— everyone from classic humorists such as Oscar Wilde, Mark Twain and George Bernard Shaw to modern wits like Woody Allen, Erma Bombeck and Phyllis Diller. These quotes put the “fun” in funny. If you believe that laughter is the best medicine, just take one book and call me in the morning. 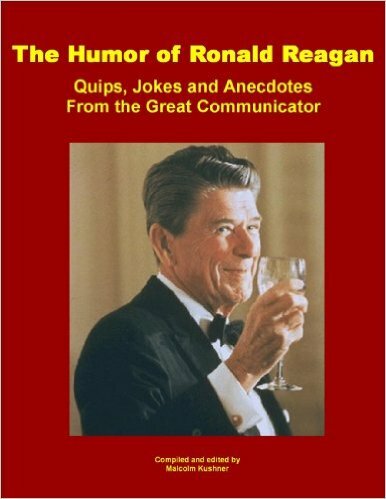 The Humor of Ronald Reagan: Quips, Jokes and Anecdotes From the Great Communicator combines the wit, warmth and wisdom of one America’s most beloved presidents. 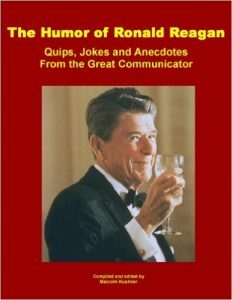 A compilation of the best quips, jokes and anecdotes from the Reagan presidency, the book is divided into two sections. “Part I: The Quips” features short jokes and one-liners. It’s divided into 31 topics such as taxes, big government, inflation, Democrats, age, healthcare, the press, Washington D.C., diplomacy and Communism. Each joke is identified by the event, place and time it was given. The jokes are arranged in monologue form so it seems like President Reagan is giving a funny speech on each topic. “Part II: The Anecdotes” covers longer jokes and stories. It’s divided into personal anecdotes, general anecdotes and point makers. You can see exactly how President Reagan used humor to make points about elitist attitudes, communication, loyalty, commitment, benefits of change, patience, optimism and many other issues. 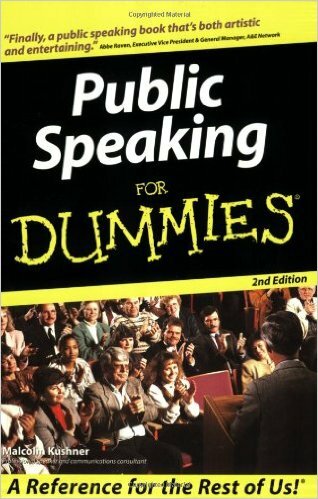 Anyone who does public speaking can easily adapt many of these stories for their own use. The book is a must-have for Reagan fans, history buffs, public speakers and anyone who likes to laugh. Whether it’s the Mafia, Russian Mob, Mexican Mob, or Yakuza, organized criminals have one thing in common; they’re no laughing matter — until now. 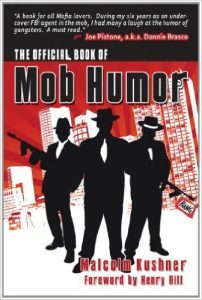 The Official Book of Mob Humor is the first time all their wit, gaffes, and goof-ups have been collected in one place. Forget about Omerta. You’ll be squealing — with laughter. Extensively researched, this book is packed with hilarious, hard-to-believe-but-true stories of mobster activity around the world, jokes, puns, mob proverbs, mob pick-up lines and cartoons. This cookbook encourages children to eat well by consuming squeezable recipes. It’s simple. Kids have fun squeezing tasty, nutritious sauces, dips and dressings over fruits and vegetables. Then they eat their creations. No cooking is required! And kids love it. Kids should play with their food if it promotes good health. 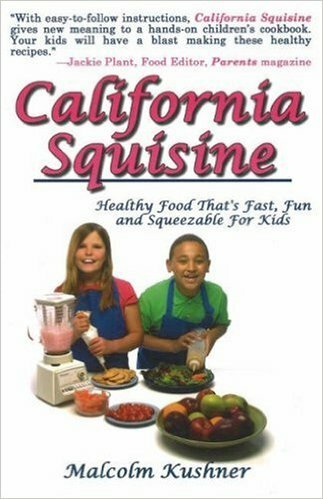 With obesity now epidemic, the book provides a simple formula for fun and healthy eating: Squisine = squeeze + cuisine. Even Einstein would agree! Hundreds of funny quotes, definitions, laws, jokes, anecdotes and news items about mankind’s favorite beverage. Plus wine cartoons from The New Yorker. 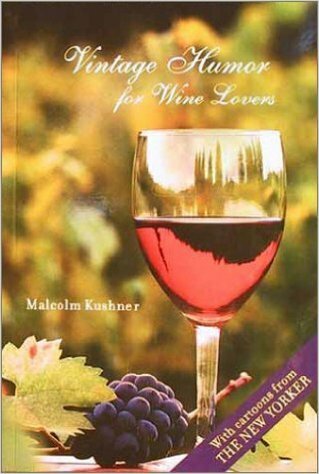 – Thoughts on wine from Mark Twain, Groucho Marx, Erma Bombeck, Jerry Seinfeld, and lots more. Don’t even read the book in order. Just open it anywhere and start laughing. A perfect pairing of sparkling wit for your sparkling wine. Cheers!